Gaylite Studios was founded in the early '40s by Kenneth and Barbara Treacher. 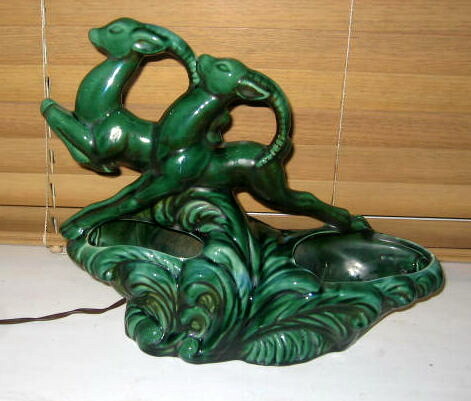 The Auckland, New Zealand company focused on hand-painted lamp shade decoration until the '50s, when business relationships were established with Haeger Potteries and other companies in the U.S. At that time Gaylite began to sell completed lamps, an operation that was successful for a number of years. 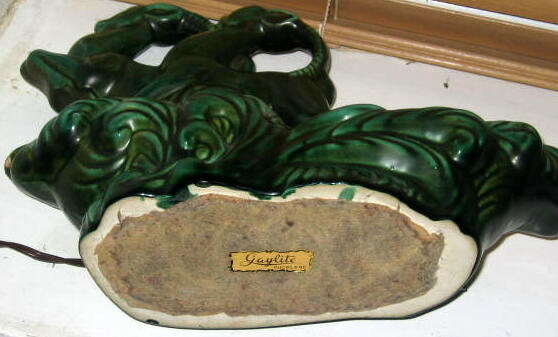 Many of their lamp bases were designed at Gaylite Studios and manufactured by potteries in Italy, Japan and the U.S., with some made in Auckland by Crown Lynn Potteries. Gaylite was sold in 1962, and closed for good a couple of years later. Many thanks to Michele Gardner for sharing her knowledge of the family business! 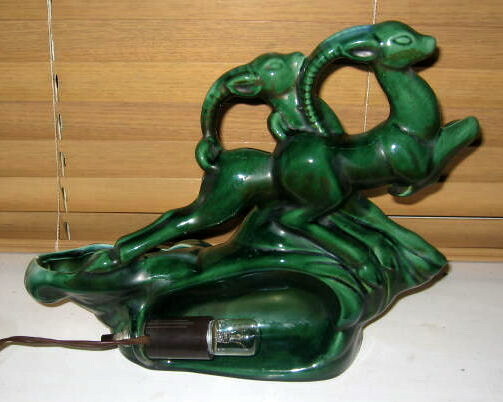 This one is a frequently seen style of lamp (by Phil-Mar, I believe), but most don't have the Gaylite's New Zealand pedigree! Photos courtesy of Dave Curry from Australia. Back view of the Gaylite TV lamp. 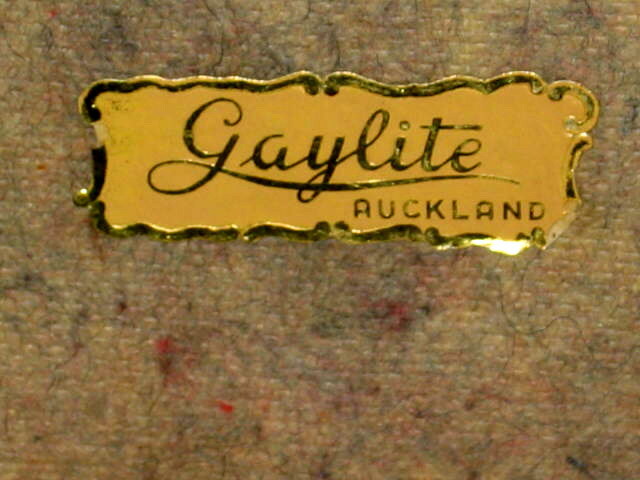 A foil Gaylite label was placed on the protective felt. Here's a close-up of the Gaylite label.